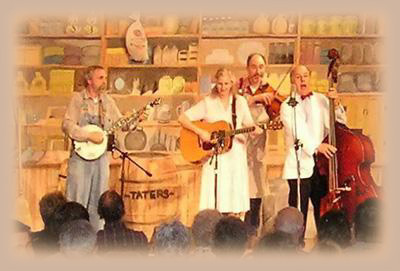 String-band music featuring robust fiddling, exuberant singing and family humor. Made in America, a show for the whole family. The Company Store feature rural-style fiddling, an open-back “clawhammer” banjo, a guitar & a bass fiddle, and lively singing with harmony & humor. Beware – audience participation required!